In just a few days, more than 40,000 healthcare professionals will gather in Las Vegas for HIMSS 2016. Looking back over the last several years of this conference, there’s been a distinct shift in the conversation, from discussions centered around documentation and electronic record keeping to a thematic focus on intelligent care. A mere glance at the top five priorities from health IT leaders shows that issues like connected health, data sharing and on-demand care delivery are salient issues for our industry. Before we gather at HIMSS to discuss the next phase of connected care, it’s critical to reflect on the evolution of care, as we chart the path forward. Care currently is episodic and disconnected. Patients visit their doctors periodically and receive care that is largely generic — a one-size-fits all prescription that may not take into account patients’ unique differentiators. An analogy for this state of care is like trying to create an award-winning movie that is merely composed of a series of snapshots that don’t show the full picture, or shed light on the character’s disposition. To provide and prescribe the right care, it’s paramount that health care professionals see the full picture of a patients’ health. This is where intelligent care comes in to play. 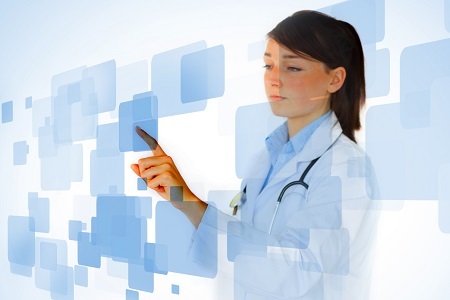 Intelligent care is personalized and continuous, not episodic, and is powered largely by contextualized data from connected medical devices and sensors. While medical devices and sensors generate an incredible amount of data and information, historically, doctors haven’t been able to access this data, let alone aggregate it into one place to identify patterns and make informed interventions. In the not too distant future, intelligent care systems allow for customized treatment whenever and wherever the patient may be while also allowing providers to better manage patients under a continuous-care approach. Take Chronic Obstructive Pulmonary Disorder (COPD) as an example. In the past, patients with COPD used disconnected inhalers to receive their medication and would report back to their doctors on an episodic basis. Now, Qualcomm Life is working with Novartis to transform the way patients manage their chronic disease. Using a connected inhaler, doctors will soon have the ability to receive reports about patient’s usage of the monitor, the quality of their inhalations, etc. This is intelligent care. I’m excited to further discuss how we can collaborate as an industry to deliver intelligent care everywhere at #HIMSS16 and beyond. Follow @QualcommLife and @CapsuleTech on Twitter for updates and stop by booth #6437 to meet the team at HIMSS 2016.